Our theme for this highlight is Travel! 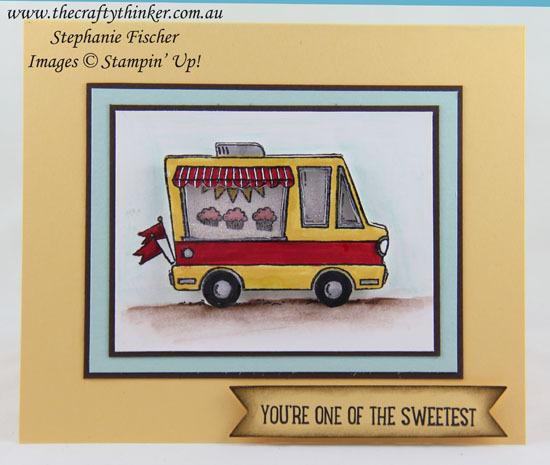 Here in Australia we're in the midst of our hot summer, so I do hope that this truck with its load of cupcakes is well-refrigerated! As you can see, this little truck is a shaker card. I can't think of any plausible explanation for having a truck full of glitter, except that I could and I wanted to! This gorgeous truck with its selection of goodies (there are tacos, hot dogs, ice creams, cup cakes, an iced cake and a string of sausages!) is FREE with an order of $90. Hard to believe that such an amazing stamp set (with 16 photopolymer stamps) could be a freebie! 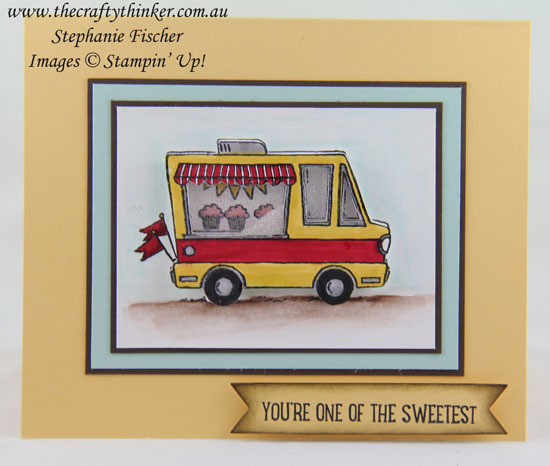 Thank you, Stampin' Up! Thanks for visiting my blog today make sure you head over to Kylie's blog to vote for my project. 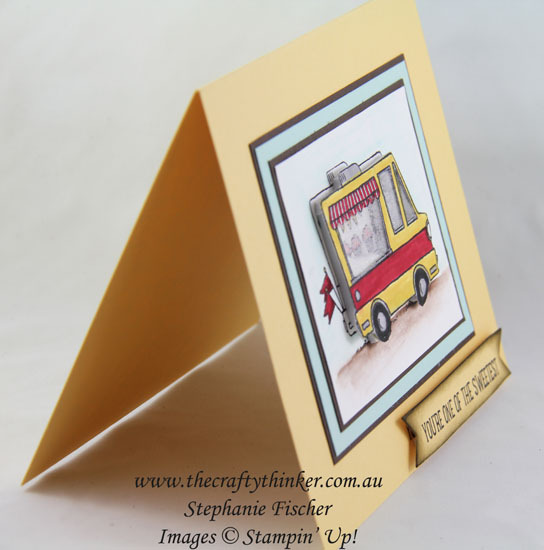 I would love to be chosen to do an international blog hop.